Carbondale Potato Day Parade 2018. The crowd gets caught in the wash from Classic Air Medical helicopter flys over downtown Carbondale Saturday morning. 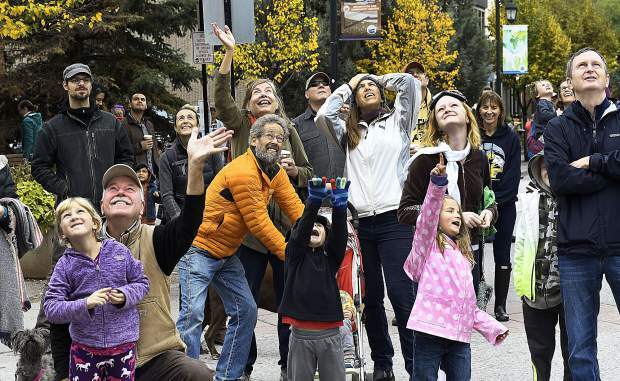 An excited crowd greets the Classic Air Medical helicopter with waves and smiles as they kick off the Potato Day parade with a fly over Saturday down Main Street. 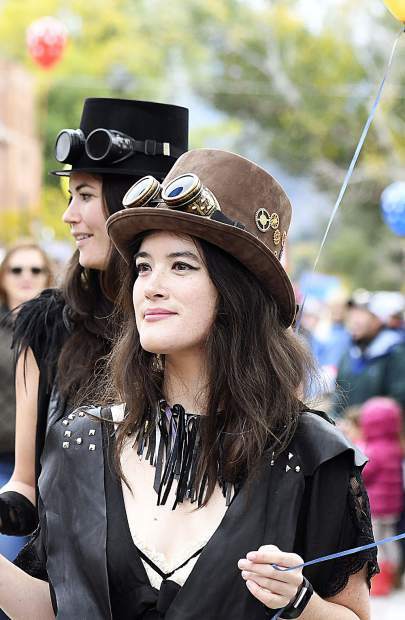 Members of the Carbondale Historical Society show off their steampunk theme as they walk through the crowd on Main Street during the 109th Potato Day festivities Saturday. 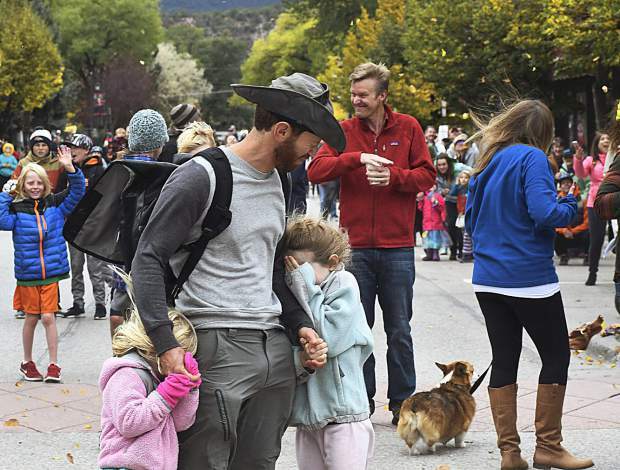 Cowboy coffee is an annual favorite during Carbindale Potato Day festivities. 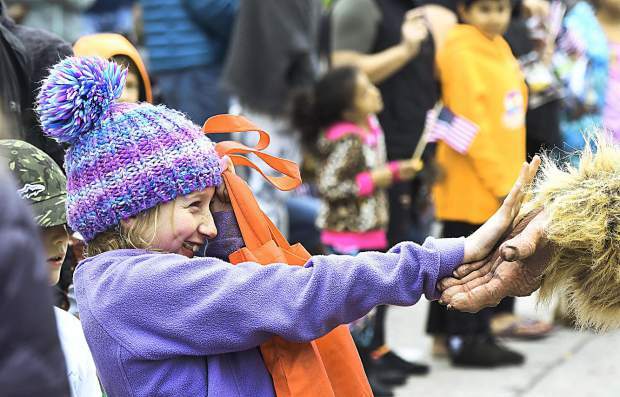 Sunny Sasquatch from Sunlight Mountain greets a bashful parade-goer Saturday in Carbondale. The Carbondale Potato Day parade flows through downtown Carbondale Saturday morning. 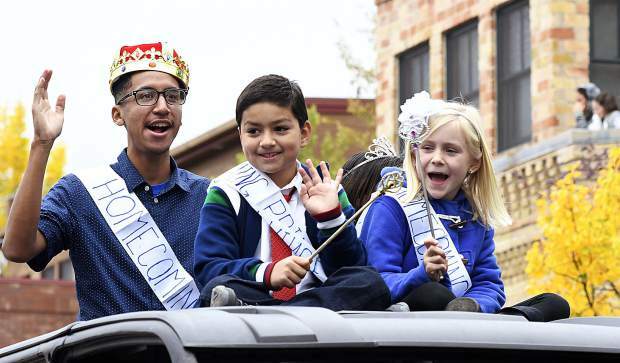 A crisp chill in the air and threat of rain looming couldn’t deter Carbondale residents from reveling in Saturday Potato Day festivities. Generation after generation has gathered to celebrate the town’s oldest continuous community event. “I’ve been coming to potato day since 1955, it has changed a lot,” long-time Carbondale resident John Stickney said. 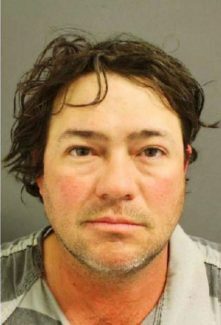 “I remember when it used to be over where Bridges High School is,” he said of the Third Street location that back in the day was known as Carbondale Union High School. 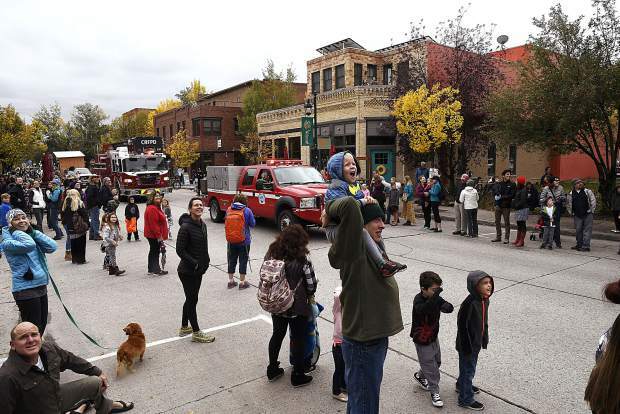 For the 109th year, Main Street and downtown Carbondale thrived with activity as the pitter-patter of the little feet of the next generation of Carbondale celebrated the history of the small Colorado town with their parents and family. “Potato Day is a very cultural and historic event, I feel like it brings us closer to what the town originally was and helps us celebrate that,” Carbondale resident Laura Bond said. 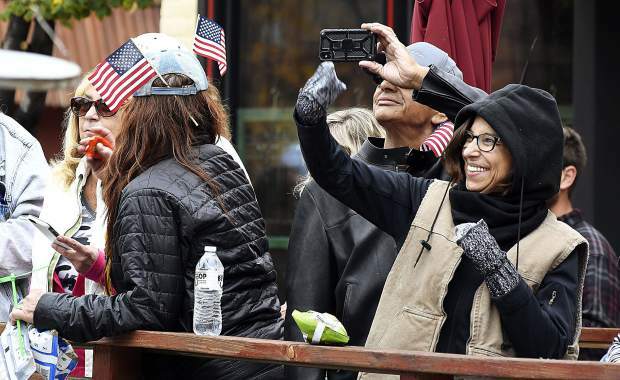 With this year’s theme of “Take flight,” a special guest fly-over from the Classic Air Medical helicopter left a lot of wind blown faces, huge smiles and some chasing hats down the street and sidewalks. 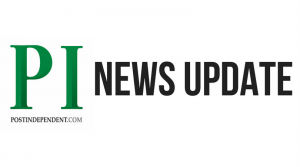 One-by-one, entries meandered through town, ranging from Crystal River Elementary School children and staff dressed as super heroes to the Carbondale Historical Society dressed in Steampunk style. 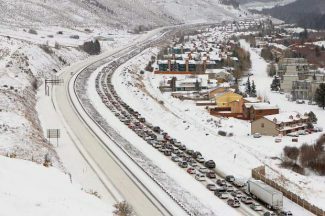 Both received cheers of approval from the crowd. “I just love that it’s Carbondale’s oldest event, it means a lot to me, its an opportunity to be in the parade with my kids,” said Carbondale resident Sarah Murray who has been coming to the event for 20 years. 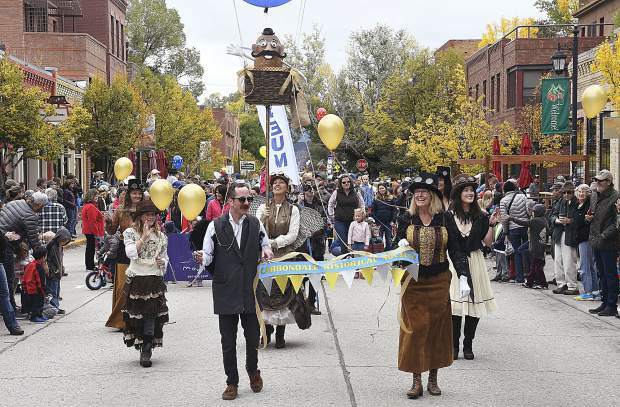 Once the last float made its way through downtown, the party migrated to Sopris Park for fun, food and family. With the sound of music filling the park, the community gathered together reminiscing about the years past, catching up with friends and meeting new ones. “I love the tradition of the lunch and the music,” Murray said. 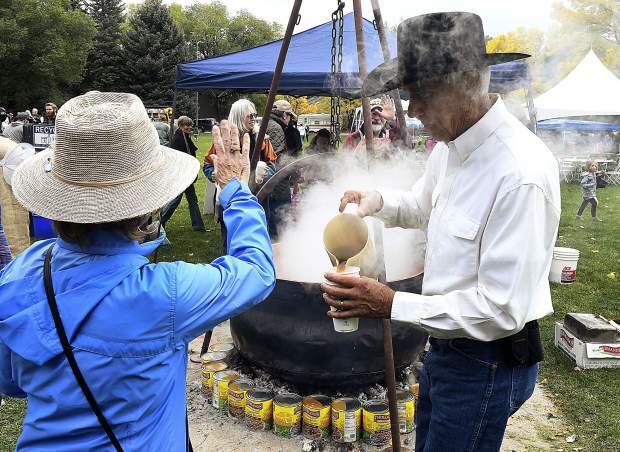 The traditions abound at the event, including the cowboy coffee served from the jumbo-sized pot and the smell of beef and potatoes emanating from the pit below ground on the south side of the park as volunteers prepare to serve the annual BBQ beef lunch.